As we countdown to the most magical time of the year, enhance your year-end getaway with yuletide nostalgia by visiting these enchanting cities for exceptional experiences, set to get you in the festive spirit of taking off. What’s better is that Emirates flies to all these destinations, most with just a quick stopover in Dubai, so your holiday starts as soon as you board that flight – kicking off with a great inflight experience. 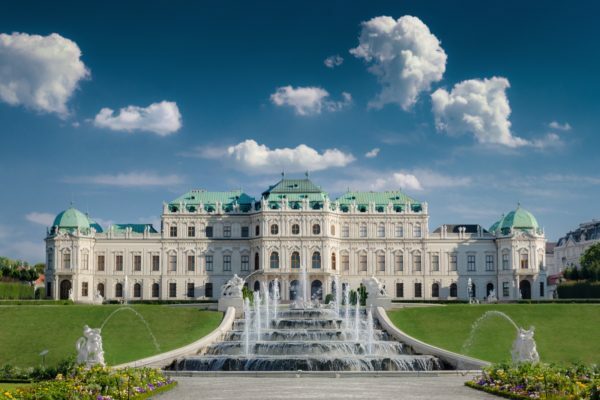 The majestic Belvedere Palace offers a grand Baroque-style backdrop for the Christmas Village in the festive season. The capital city of Vienna puts on a lavish and magical display of Christmas joy in the shadow of Baroque architecture. Skate to your heart’s content at the many ice rinks set up across the city during the winter months, including ones at the Rauthaus and Vienna Konzerthaus. Take a little Christmas cheer home with some traditional handicrafts, artisanal gifts, Christmas decorations and special culinary delights like Vanillekipferl (crescent shaped biscuits) and Weihnachtspunsch (a spiced “Christmas punch”). These trinkets and treats are available at the many Christmas Markets such as the Christmas Village which stands against the historic Baroque-style backdrop of the Belvedere Palace and Schönbrunn Palace. Emirates flies twice daily from Dubai International Airport to Vienna International Airport. The charming streets of Zurich transform and light up into a Christmas wonderland in the festive year-end months. In the Swiss city of Zurich, treat your senses to wafting scents of cinnamon and mulled wine, beeswax and gingerbread as the Bahnhofstrasse (or main street) lights up with 12,000 glittering LED lights. A sight to behold, do not miss the 15-metre high Christmas tree dripping with Swarovski crystals at the Christmas Market just outside the Zurich main station. Complete the Advent experience by listening to Christmas stories while riding on the seasonal Märlitram – a tram adorned with fairy lights and drawings of angels as you cruise through the scenic streets of Zurich. 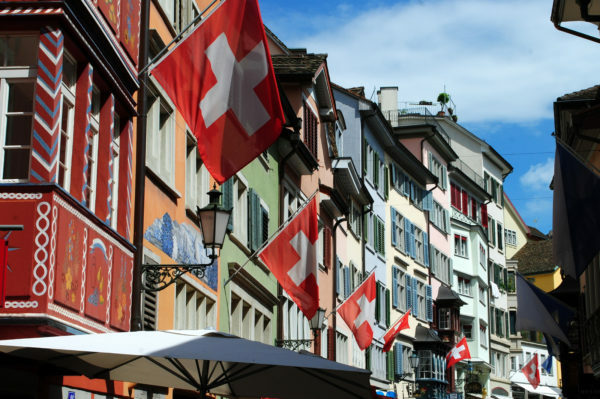 Emirates flies two daily flights to Zürich Airport from Dubai International Airport. The Avenue des Champs-Élysées of the City of Lights is a sight to behold come Christmas. Where best to spend Christmas if not at the City of Lights? Paris is a must-visit for a romantic Christmas experience. 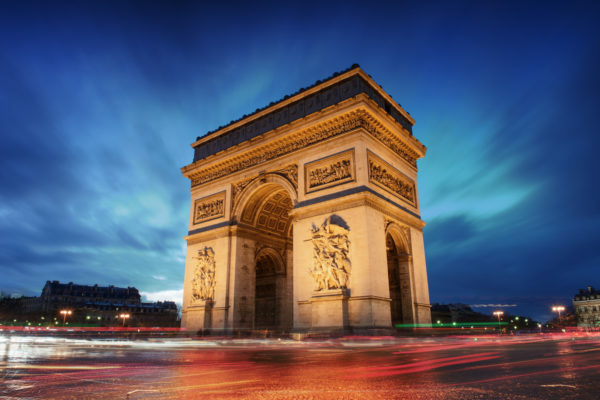 Be amazed by Christmas lights – 150,000 Christmas lights to be exact, dotting the famed pathway of the Champs Elysées or book yourself a spot on the “Illumination of Paris” sightseeing coach tour to discover Paris’ finest monuments illuminated at nightfall. For families with children, ride on traditional maneges de Noël (or carousels) – an icon not to be missed in winter in Paris. Emirates has three services daily from Dubai International Airport to Paris Charles de Gaulle Airport. Soak in the festivities and cruise along the iconic canals of Amsterdam as the capital lights up in the Christmas season. Spot Sinterklaas, or Saint Nicholas, the character famous in Dutch culture who makes his appearance in parades all over Amsterdam. Or catch Tchaikovsky’s classical ballet “The Nutcracker” – a staple of the festival season, at the Charkov State Opera & Ballet Theatre, and take a romantic Water Colours Cruise down the many canals in Amsterdam to see illuminated sculptures and installations by international artists. For the music aficionados, delight in a fantastic collection of classical and choral concerts by the Royal Concertgebouw Orchestra lined-up for the Christmas season. 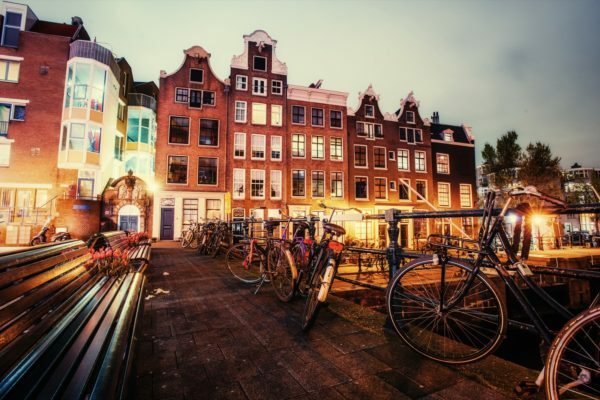 Emirates has two daily flights from Dubai International Airport to Amsterdam Airport Schiphol. Venice, an unexpectedly quaint holiday destination in Christmas. 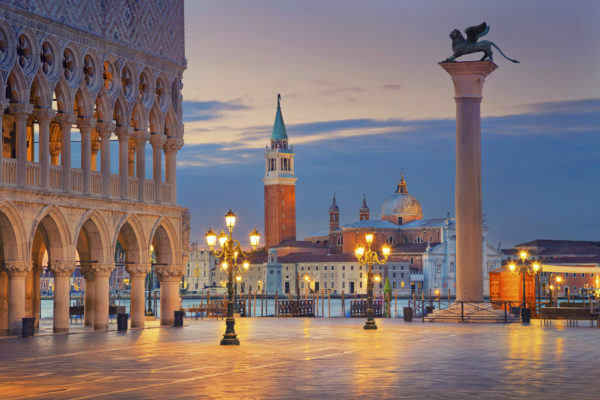 Venice, with its gorgeous canals, piazzas and ornate architecture, is quaint with traditional concerts and Christmas mass in Venice’s iconic, snow-capped St. Mark’s Basilica. Do not miss the main Christmas market at Campo San Stefano, and walk along the sunny waterfront of Zattere or cruise down the canals in a gondola for a winter treat, followed by a cup of rich cioccolata calda in any one of the many cafes Venice boasts. Emirates provides seven services weekly, one each day, from Dubai International Airport to Marco Polo Airport. Marienplatz hosts the oldest and biggest Christmas markets of the Bavarian capital. 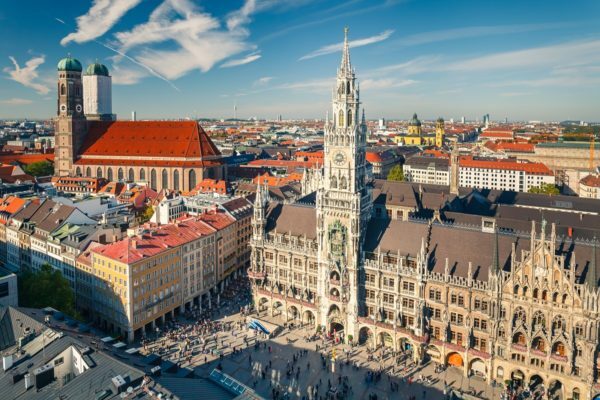 Be dazzled by the spectacular 85-foot Christmas tree on the Marienplatz (main plaza) of the Bavarian capital, and make a visit to the Christkindlmarkt, one of Munich’s oldest and biggest Christmas markets, located in the heart of the city with 150 wooden huts. At the Tollwood Winter Festival in Theresienwiese – a park well-loved by students and youth, enjoy lively concerts, entertaining circus acts, quirky handmade crafts and plenty of traditional food to complete the Christmas experience. Emirates flies thrice daily from Dubai International Airport to Munich Airport. London, one of the most visited cities of the world, is a remarkable one for the Christmas season. 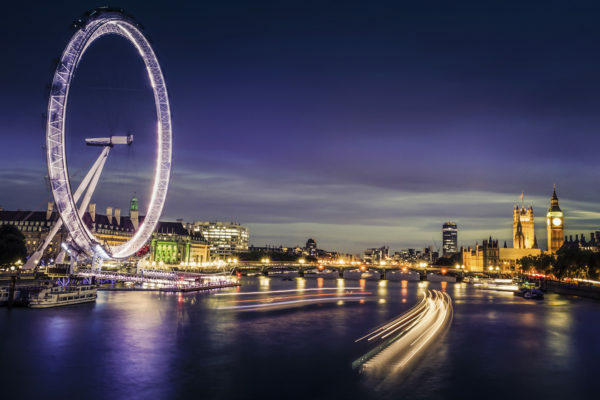 Get a fast fix of the Christmas spirit in London by visiting the Winter Wonderland in Hyde Park, which will see the annual gathering of winter markets, festive fun-fair rides, ice-skating, meet-and-greets with Santa Claus, and the biggest outdoor rink in UK. Check in at the Southbank Centre Winter Festival which boasts the Rekorderlig Winter Lodge – a Scandinavian-inspired two-floor pop-up lodge offering fire pits, Swedish food and hot and cold cider cocktails. At Trafalgar Square, behold the spectacular sight of the capital’s biggest Christmas tree, donated each year as a gift from Norway, and listen to the angelic Christmas carols performed in public by choirs. Emirates flies six times daily to Heathrow Airport and thrice daily to Gatwick Airport. Stockholm, encompassing 14 islands of the Baltic Sea archipelago, offers an island-hopping option for Christmas. Spend a cosy Christmas in Stockholm with a Christmas light show at the Rosendal’s Garden – an alluring greenhouse and garden embellished with magical fairylights, or spend Christmas cruising through the Stockholm archipelago, dropping by the islands of Utö, Sandhamn and Vaxholm to visit traditional Christmas markets selling Christmas candies and sweet meats. Twirl around the grounds of the outdoor ice-skating rink located in the center of the city at Kungsträdgården to add to an unforgettable experience this Christmas. 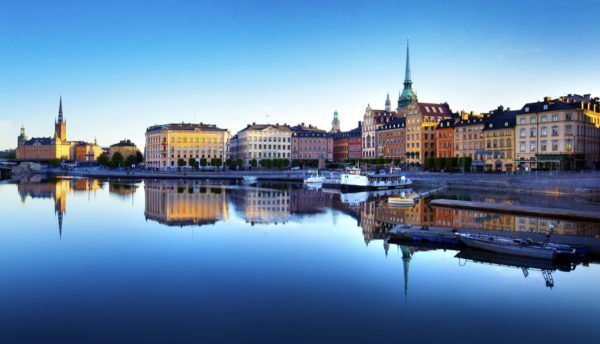 Emirates provides seven services weekly, one each day, from Dubai International Airport to Stockholm Arlanda Airport. The underrated capital of Hungary is filled with history at every turn, making it a memorable Christmas destination. Budapest is home to one of the most charming Christmas markets in Europe. Located on Vorosmarty Square, the Christmas market is great for travelers looking for quality handmade gifts such as pottery, even clothes – with leather a specialty as well as traditional Christmas goodies. Indulge in a relaxing bath at Széchenyi – one of Europe’s biggest natural hot spring spa baths. 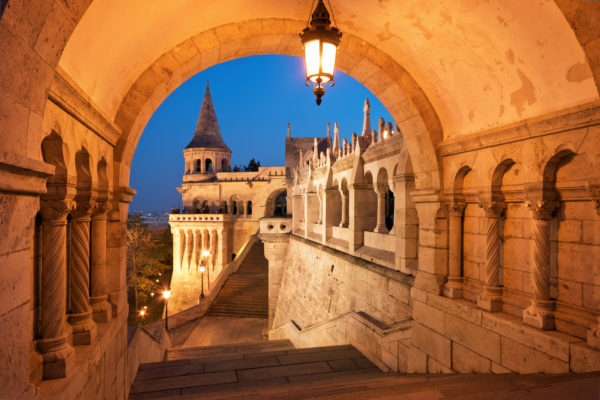 For a panoramic view of Budapest in full snowy grandeur, pop by the Fisherman’s Bastion that overlooks the enchanting city of Budapest. Emirates offers one daily flight from Dubai International Airport to Budapest Ferenc Liszt International Airport. 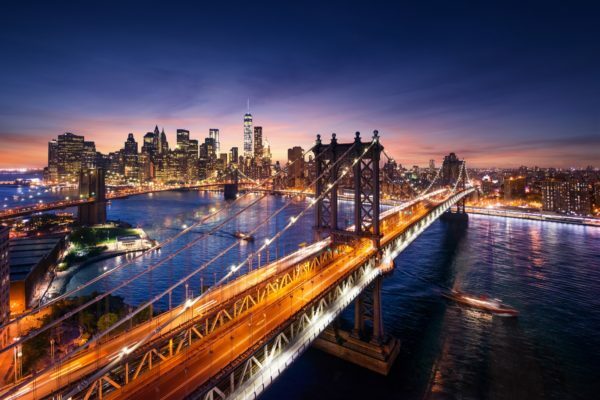 The Big Apple, with its timeless traditions, turns into a Christmas wonderland come the holiday season. Celebrate the most wonderful time of the year at the Big Apple by visiting the Bryant Park Winter Village 2016, where you get to skate for free on the Bryan Park’s 17,000-square-foot outdoor rink, discover the 125 holiday shops, or satisfy your holiday cravings at Public Fare, a rink-side pop-up restaurant serving coffee, snacks, sandwiches and soup throughout the day. Join thousands of New Yorkers at the nexus of town to witness the Rockefeller Christmas Tree in its full glory – 78-foot tall, 10-ton heavy Norway Spruce illuminated in over 45,000 LED lights. Of course, check out the beautifully decorated storefronts along Fifth Avenue and the Chrlstmas light displays in Dyker Heights, Brooklyn. Emirates delivers four daily services from Dubai International Airport to John F. Kennedy International Airport. A tropical Christmas experience awaits in the seaside city of Rio de Janeiro. Rio de Janeiro boasts a tropical Christmas experience unlike any other. Head down to the Rodrigo de Freitas Lagoon to witness the world’s largest floating Christmas tree towering at a height of 85 metres, with fireworks to herald in the festive season. Indulge in an array of heart-pumping performances in Parque de Cantagalo located near the lagoon, and treat your tastebuds to a uniquely Brazilian gastronomical Christmas adventure consisting of bacalhau (cod fish), rabanada (a dessert similar to French toast), smoked ham and plenty of champagne or red and white wine. 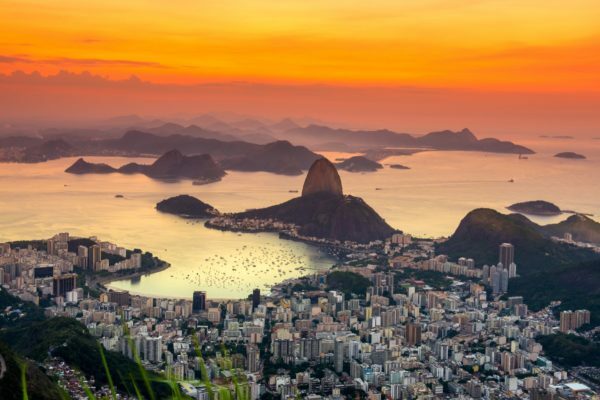 Emirates provides seven services weekly, one each day, from Dubai International Airport to Rio de Janeiro – Galeão International Airport. 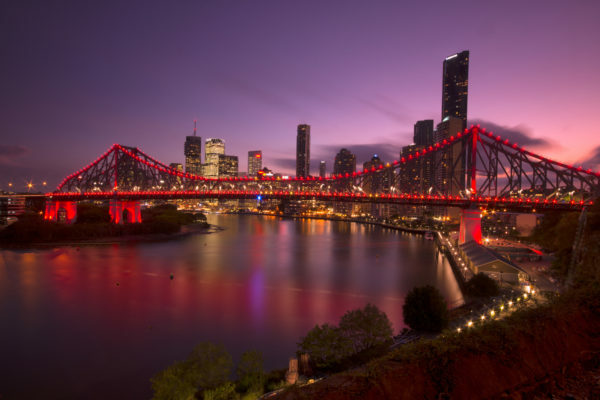 Brisbane city burst into life come Christmas, offering a plethora of festive activities suitable for families and couples. Immerse yourself in the full spirit of yuletide by enjoying Christmas classics such as Home Alone and The Polar Express at South Bank’s Christmas Beach Cinema from 16 to 23 December, where you can snuggle up on a picnic rug under the stars or dive into the cool waters – a unique movie experience for families and couples alike. Soak in the splendor of Christmas at Roma Street Parkland’s Enchanted Garden, where a spectacular lighting display transforms the park’s Spectacle Garden. Be sure to catch the Christmas Parades happening daily from 16 to 24 December that stretches from Queens Plaza to King George Square. Emirates has two flights daily from Singapore’s Changi Airport to Brisbane Airport. Plan your Christmas holiday with Emirates, the world’s largest international airline. Boasting a route network of 150 destinations in 83 countries and territories, Emirates operates 35 flights a week from Singapore to Dubai. From Dubai, Emirates offers a plethora of holiday options by providing excellent connections to 38 European and 11 North American destinations, including the newly launched service to Fort Lauderdale.